At the Sadhna Center, we not only want you to feel good, we want you to look good as well. Our facial aesthetic treatments reduce, or even eliminate, the visible signs of aging on the skin, giving you a healthier and more vibrant appearance. With services to help with fine lines and wrinkles, dull skin, acne scars, excess hair, and sun damage, we help you look and feel your best. Some of the services offered include Botox, dermal fillers, and laser treatments. Regain Your Youthful Glow With Facial Aesthetics in Jericho! When your face begins showing the signs of aging, reclaim your youth with the wide range of restorative services Sadhna Art of Wellness has to offer. Rather than letting your age catch up with you, our targeted treatments can amplify your natural beauty, bringing out the youthful glow that would otherwise be dulled by the passage of time. By integrating cutting-edge medical therapies with proven treatments, we can help you look and feel your best. At the Sadhna Art of Wellness, we want you to look good, and feel good, too. Our facial aesthetic treatments can approach, treat, and eliminate the visible signs of aging on your skin, providing a healthier, more vibrant appearance from the inside out. Our unique approach can do it all, including eliminating fine lines and wrinkles, dull and listless skin, acne scars, excess hair, and sun damage, bringing back the glowing, gorgeous face you want to show the world. From Botox to dermal fillers, we have the perfect solutions to bring out your most beautiful face. With facial Botox, you can see dramatic improvements in the appearance and feel of your skin. A neurotoxin derived from Clostridium botulinum, an organism found in the natural environment where it is largely inactive and non-toxic, facial Botox can plump the skin, reducing and hiding fine lines and wrinkles. By paralyzing the underlying muscles, you can shave years off the look of your skin. Collagen P.I.N. is a facial rejuvenation method that introduces a controlled wound to the skin that triggers a release of growth factors, new collagen, and elastin. 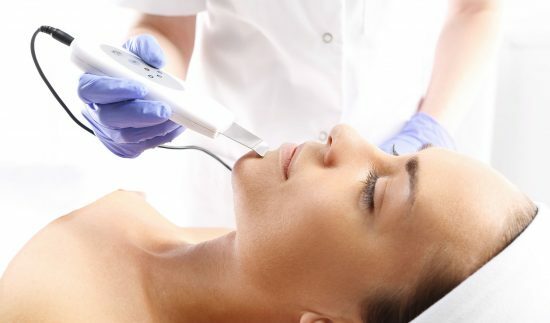 This superficial damage is much less detrimental than dermal rolling, lasers, and other ablative treatments, leading to healthy changes and faster regrowth. Reduced damage helps to protect new skin cell growth, leading to quicker healing and a higher success rate. Innovative and effective, Collagen P.I.N. activates cellular regeneration in an aggressive way that tightens and lifts skin, minimizing common problems like acne scars, fine lines, photo-aging, dull skin, poor texture, stretch marks, and dark scars. When you want your pores to glow from the inside out, a deep cleaning facial offers a relaxing, detoxing, and rejuvenating experience that leaves skin revitalized and refreshed. Reduce the look of aging with a collagen boosting and cell-repairing facial that will leave you with smooth, plump, and radiant skin. With a chemical peel facial, you can remove dead skin and promote new growth with a balance of AHAs and BHAs. With the ability to stimulate more collagen development and restore your skin’s hyaluronic acid to retain its moisture, a peel is perfect for all skin types, giving you the treatments you need to look and feel younger in a matter of days. Say goodbye to stubborn acne with help of our unique anti-acne facials and chemical peels. Remove dead skin cells and foster new growth with an enzymatic peel facial! Targeted enzymes effectively eat away dead skin cells and keratinized cell build up, leaving your skin feeling smooth in texture and fresher than ever. If you’re in the Jericho area and are ready to explore how fresh, beautiful and vibrant your body can become, give us a call at 516-544-8899!